Looking for a plastic straw to sip your soda? It's no longer allowed in Seattle bars and restaurants. Neither are plastic utensils in the latest push to reduce waste and prevent marine plastic pollution. 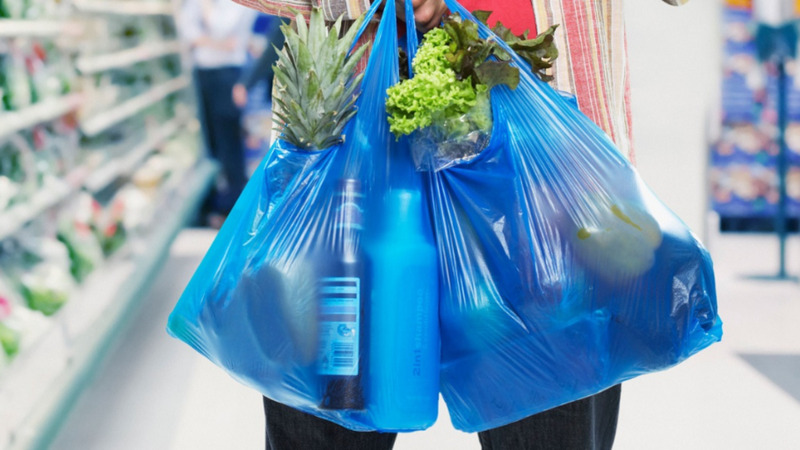 Businesses that sell food or drinks won't be allowed to offer the plastic items under a rule that went into effect Sunday. Seattle is believed to be the first major U.S. city to ban single-use plastic straws and utensils in food service, according to Seattle Public Utilities. The eco-conscious city has been an environmental leader in the U.S., working to aggressively curb the amount of trash that goes into landfills by requiring more options that can be recycled or composted. Seattle's 5,000 restaurants will now have to use reusable or compostable utensils, straws and cocktail picks, though the city is encouraging businesses to consider not providing straws altogether or switch to paper rather than compostable plastic straws. "Plastic pollution is surpassing crisis levels in the world's oceans, and I'm proud Seattle is leading the way and setting an example for the nation by enacting a plastic straw ban," Seattle Public Utilities General Manager Mami Hara said in a statement last month. Proposals to ban plastic straws are being considered in other cities, including New York and San Francisco. In the United Kingdom, Prime Minister Theresa May announced in April a plan to ban the sale of plastic straws, drink stirrers and plastic-stemmed cotton buds. 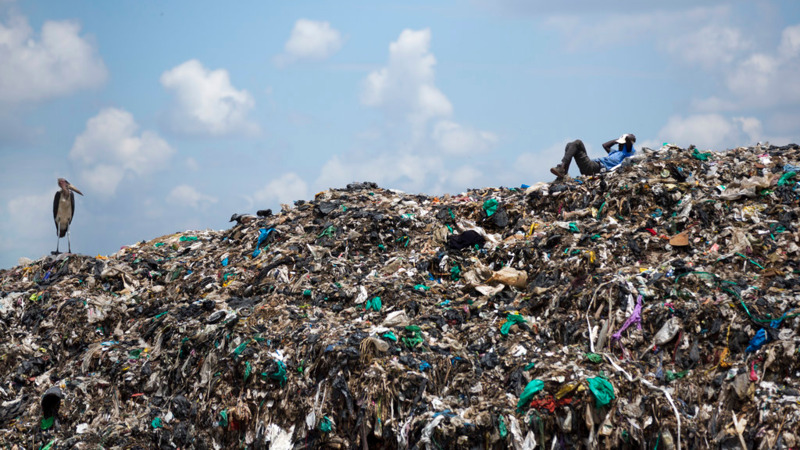 She called plastic waste "one of the greatest environmental challenges facing the world." Smaller cities in California, including Malibu and San Luis Obispo, have restricted the use of plastic straws. San Luis Obispo requires single-use straws only be provided in restaurants, bars and cafes when customers ask for them. City officials said most customers will say "no" if asked if they want a straw. 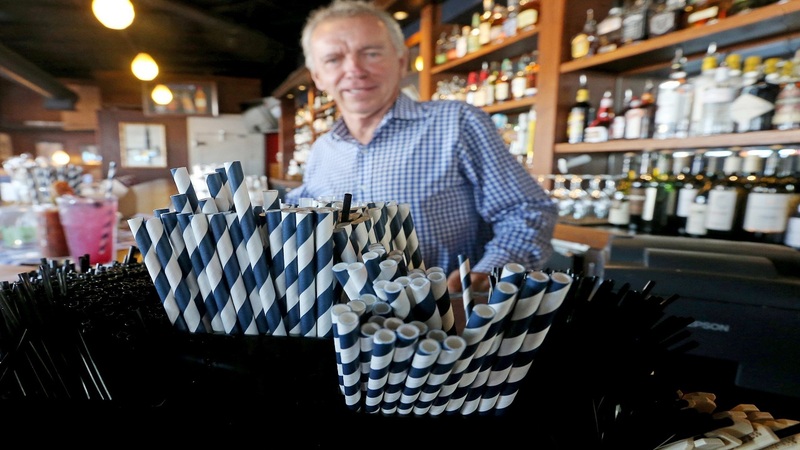 The idea has met resistance in Hawaii, where legislation to ban plastic straws died this year, The Honolulu Star-Advertiser reported Monday , with The Hawaii Restaurant Association and Hawaii Food Industry Association testified against the bill. 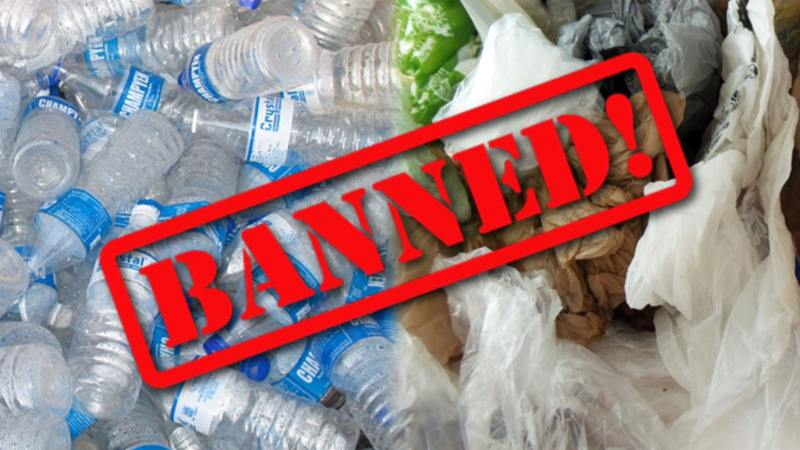 Seattle's ban is part of a 2008 ordinance that requires restaurants and other food-service businesses to find recyclable or compostable alternatives to disposable containers, cups, straws, utensils and other products. Businesses have time to work toward complying with the ban, said Jillian Henze, a spokeswoman for the Seattle Restaurant Alliance, an industry trade group. "We've almost had a year to seek out products to protect the environment and give customers a good experience (with alternatives)." The city had allowed exemptions for some products until alternatives could be found. With multiple manufacturers offering alternatives, the city let the exemption for plastic utensils and straws run out over the weekend. Environmental advocates have been pushing for restaurants and other businesses to ditch single-use straws, saying they can't be recycled and end up in the ocean, polluting the water and harming sea life. A "Strawless in Seattle" campaign last fall by the Lonely Whale involving more than 100 businesses voluntarily helped remove 2.3 million single-use plastic straws. Supporters say it will take more than banning plastic straws to curb ocean pollution but that ditching them is a good first step and a way to start a conversation about waste and ocean conservation. Seattle urged businesses to use up their existing inventory of plastic utensils and straws before Sunday. Those who weren't able to use up their supply have been told to work with the city on a compliance schedule. Businesses that don't comply may face a fine of up to $250, but city officials say they will work with businesses to make the changes.